Google page speed optimization - How To Do Speed Optimization Right? How To Do Speed Optimization Right With Google PageSpeed? Home >> Geek Stuff >> How To Do Speed Optimization Right With Google PageSpeed? Having a lightning fast website is more than a necessity nowadays. More and more people all over the world are browsing the Internet from a mobile device and having a slow website can be extremely detrimental. With that in mind, Google have created numerous tools to help you analyze and speed up your websites. Google PageSpeed is the most prominent of them. In this article we will talk about how the google page speed optimization works, how google page speed can optimize images and the last but not least how to do it right. I am sure everyone knows about Google PageSpeed Insights, the speed analysis tool most websites use. But there is another part to the equation, in the beginning it was called PageSpeed Service and it was a CDN-like solution combined with PageSpeed’s optimization algorithms. The PageSpeed Service was discontinued and turned off by August 3rd 2015. Google, however, released a PageSpeed Module for the most common web servers (Apache & Nginx), giving web hosts the opportunity to automatically optimize all websites hosted on their servers. We have implemented these website performance optimization services for all of our Managed WordPress Hosting packages and have created the ultimate WordPress optimized hosting solution for your business. What is the Google PageSpeed Module? This is all controlled by special filters which can be enabled or disabled per website. There is a set of core filters giving people amazing results without the need of additional tweaking and you can also create your own custom set for your website’s needs. Faster websites get more traffic and are ranked higher in Google’s search results, this is increasingly more important with Google’s shift to primarily mobile search results. 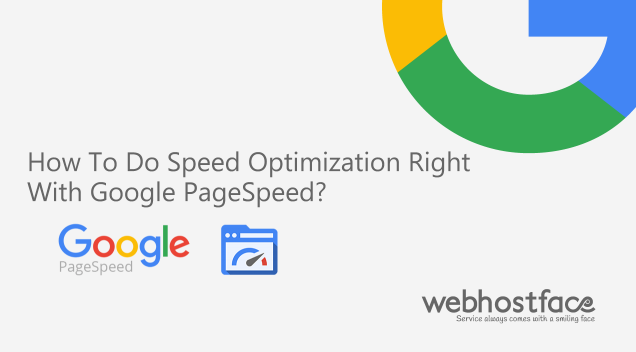 The PageSpeed module can automatically optimize your website the way Google wants to. All rules and recommendations listed in PageSpeed Insights can be achieved by enabling the corresponding filters in the PageSpeed module. No matter the website application you are using, you won’t need special caching plugins. Caching plugins use the website’s database and server access files, like .htaccess for Apache, to make the optimization. The PageSpeed module is configured on the server level and doesn’t need to load the settings for a particular website from a database or additional files making it faster comparatively. Caching plugins also tend to cause database bugs and create logs which can get quite huge in certain situations. If you are using a custom or less popular application which doesn’t have caching options, or if you are a developer building your own websites from scratch, using Google PageSpeed can significantly ease your life. Having a server-side tool with automatic optimizations is a great all-round opportunity for everyone. Is Google PageSpeed implemented with us? Currently, our customers on the Managed WordPress Hosting solution have the PageSpeed Module implemented. They are using an Nginx web server with http/2 and PageSpeed, we are also testing the PageSpeed module on our shared environment using Apache and will probably announce its implementation officially in the coming weeks. How to take advantage of Google PageSpeed? For the moment, you can only use the module on our Managed WordPress environment which comes with a personal WP assistant. All google page speed optimization tweaks are done on the server level for faster performance and as such you can talk them over with your personal assistant and he/she can create a custom filter sets for your websites afterwards. After we announce the PageSpeed’s module implementation on our shared environment, we will have another guide how to easily control the filters in your shared account. Take advantage of the google page speed optimization with our Managed WordPress Hosting solution and experience the ultimate performance boost for your WordPress website. I hope you found all this information useful. We would love to hear your thoughts or questions on the subject of google page speed optimization and WordPress optimization in the comments below. Feel free to also share this article with anyone that might be interested in or in need of website optimization. He might strike you as exceptionally vain at first but behind all that front there is a really nice and friendly person who is ready to help you even if he can't. Stefan's also a huge computer games fan and loves going to the movies or just staying at home to watch his favourite TV series. ← WebHostFace Managed WordPress Hosting Is Released! What is WannaCry ransomware and how to protect your computer? Hey Stefan, great post. I feel like when you’re bootstrapping a company, you want to be as low cost as possible. But, you have made me rethink getting managed wordpress hosting. Keep up the great work here at WebHostFace! Identifying a proper source how to increase my page speed needs some serious efforts to get the best result. Proper process implementation always creates more traffic and visibility. I was simply stumped on choosing the best module to increase my website speed which could work effectively for me.Even tried a different online search but I failed.I found your article more interesting and useful as a tool which could help me explore work more effectively.